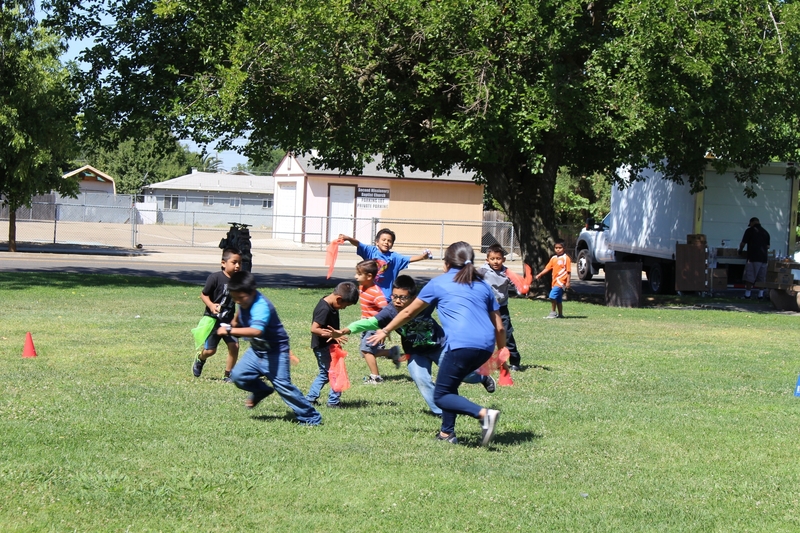 The UC CalFresh Nutrition Education Program partnered with Dairy Council of California, Madera County and Public Health for this year's Summer Meals in Madera County. 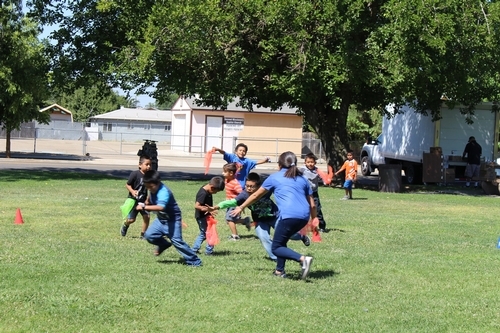 The event's goal was to provide meals to children during the summer as well as provide fun physical activities. 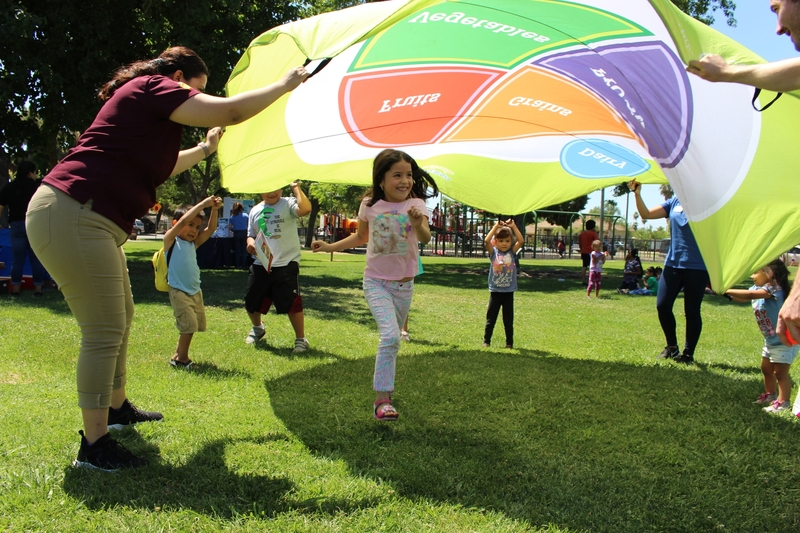 The event took place on June 29, 2018 at the McNally Memorial Park in Madera, where they provided information booths and free physical activities. The physical activities took place after the children were given their healthy meal. 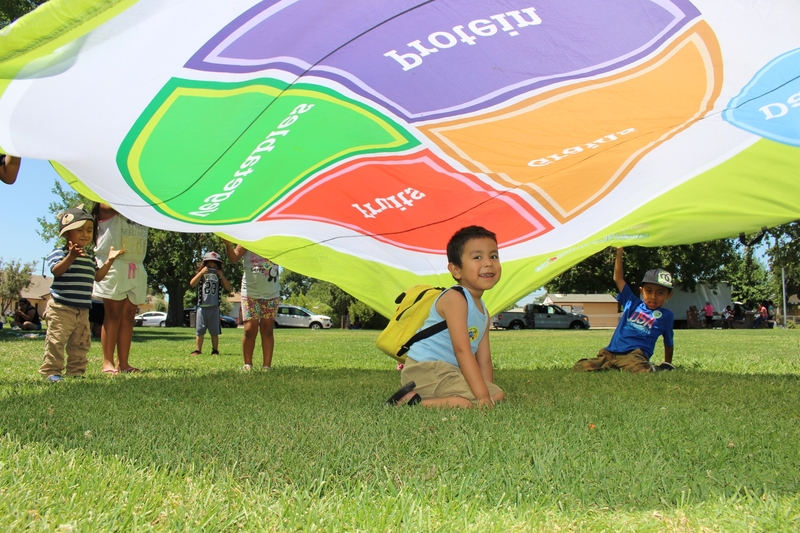 Staff established an area in the park where CATCH (Coordinated Approach to Child Health) activities could take place such as parachute, parade around, and frog on the lily pads. 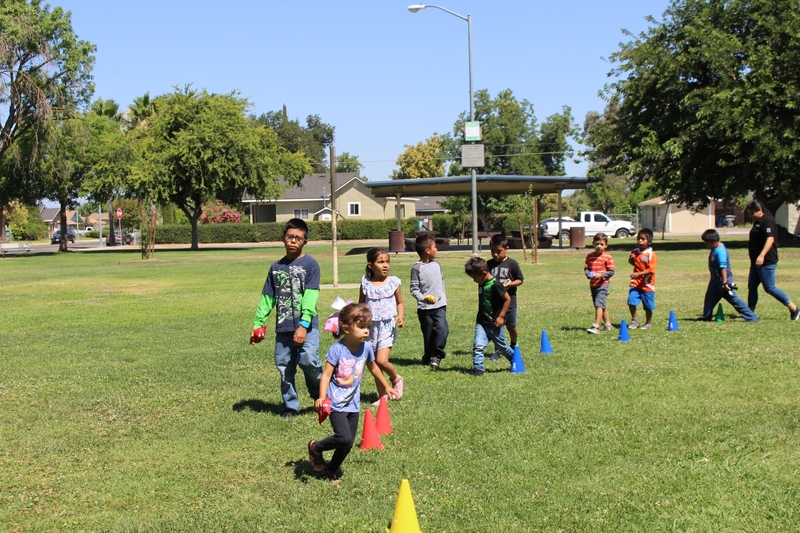 Physical activity games where provided for about 200 children from the age range of K-5th grade. 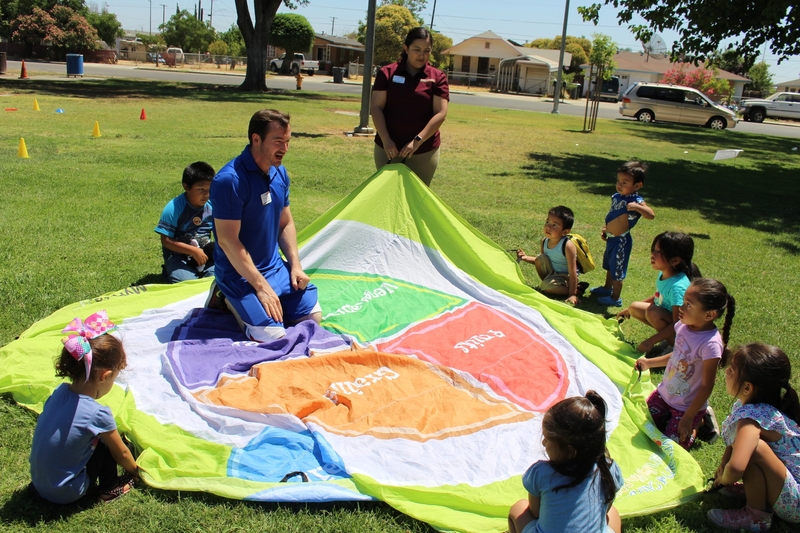 During the games, other staff educated children on the MyPlate through games and brochures. While at the booth children were explained the importance of following the MyPlate and incorporating a balanced meal while including the five food groups. Children showcasing frogs on the lily pad. On June 11, 2015 UC Cooperative Extension had an opportunity to attend a C.A.T.C.H (Coordinated Approach to Child Health) training in Chico, CA, hosted by the North Coast and Cascades TRC and presented by Dr. John Krampitz. UC Cooperative Extension believes in innovative team work and expanding their knowledge base. 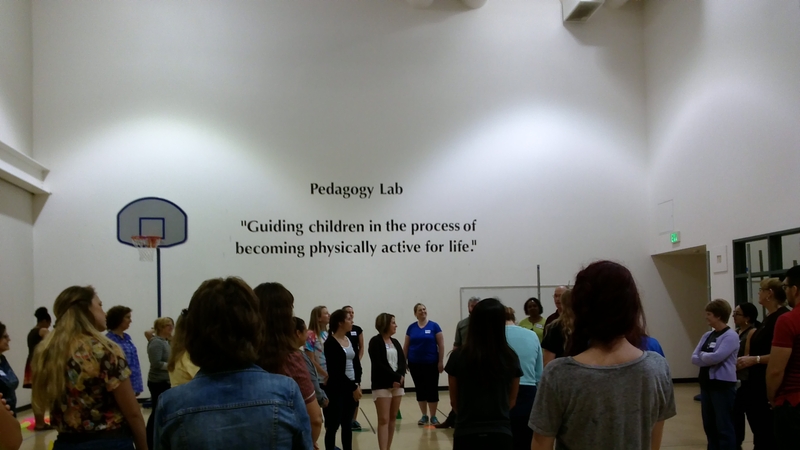 Here they learned new skills to train preschool teachers on ways to implement physical activities in classrooms, involve all children in activities, and encourage healthy eating in the little ones ages 3-5. 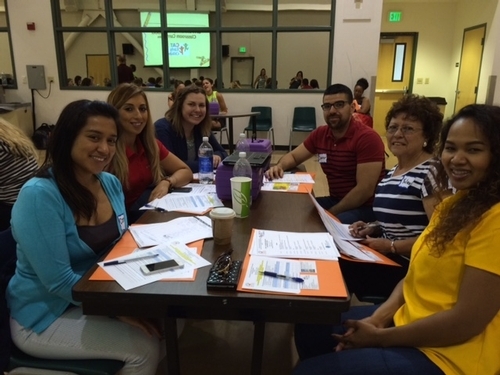 Fresno County UC CalFresh Staff (clockwise from bottom left) Consuelo Cid, Maira Enriquez, Emily Harris, Javier Miramontes, Yolanda Lopez and Nath Say. The training was interactive and very hands on. All aboard the vegetable train! CATCH offers great tips and tools to learn about eating healthy and get kids moving. This was one of our favorite activities! If you'd like more information regarding C.A.T.C.H and how they can provide a training to your preschools or teachers visit http://catchinfo.org. 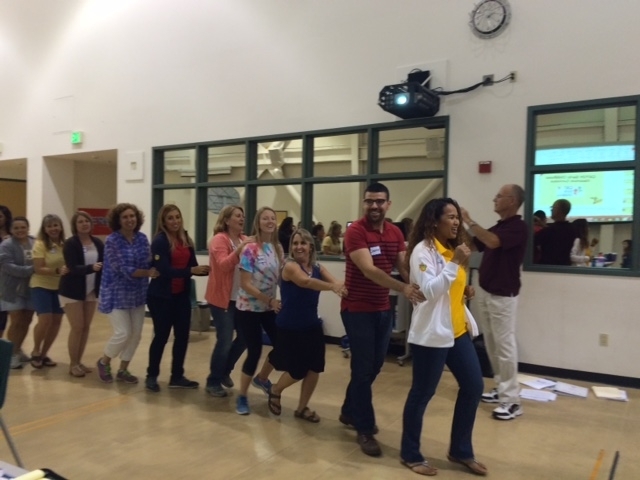 We look forward to sharing what we learned with teachers in the new school year! Special thanks to Michele Buran, CSU Chico, NEOP North Coast and Cascades TRC for hosting such a fantastic training!